Zlatan Ibrahimovic’s injury couldn’t have come at the worst possible time as fellow strike partner Romelu Lukaku is also expected to be out for atleast two games after being stretchered off in the stalemate draw against the Saints at Old Trafford. The Special One revealed the Veteran striker is facing a ‘big problem’ as the 36-year- old suffers a relapse on a knee injury that has kept him out since April, after he missed out on the goalless draw against Southampton on Saturday. The Swedish international suffered an anterior cruciate ligament injury in United’s quarter final match against Anderletch in the Europa league last term and the legandary striker is expected to be out for atleast one month having suffered a relapse on his knee injury. 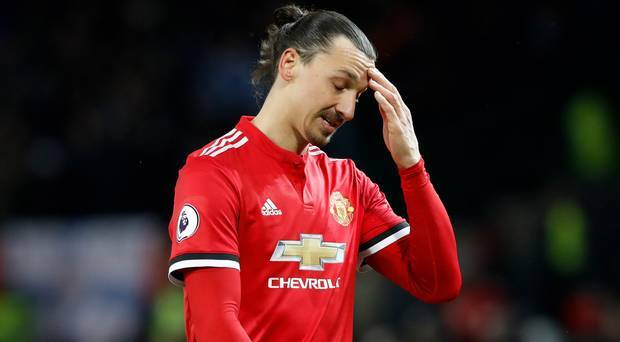 With Ibrahimovic coming back earlier than expected, it is believed the Swedish striker might have aggravated his injury and will now face more time on the sidelines. “The same [knee]. A massive problem. He is a 36-year- old with a bad knee.” He also added. “The veteran forward was facing ‘one month out’;. Having joined United on a free last summer from Paris Saint-Germain, the former AC Milan forward quickly adapted to the Premier League and also played a key role for the Red Devils in winning both the Europa League and League Cup last term. Although, United bringing in Romelu Lukaku for a record fee of £75 million in the summer seems to have filled the void left by the Veteran striker after enjoying a brilliant start to life at Old Trafford, but with both strikers facing time on the sidelines, Jose Mourinho will have to do with wingers Marcus Rashford and Anthony Martial up front. Belgian striker Romelu Lukaku suffered an head injury in the 0-0 draw against Southampton at Old Trafford on Saturday and he is expected to be out for atleast two games, according to Jose Mourinho. hoping to get back to winning ways having drawn their last three Premier League games.